SOUTH PADRE ISLAND—As Kylie and Taylor got in the 15-passenger van around midnight on March 20, they were greeted by Baptist Student Ministry (BSM) students from El Paso and New Mexico serving through Beach Reach. The two girls spent the last of their money at the local bar and did not have enough funds to pay for a taxi back to their motel. The free van ride from BSM students was a welcomed gift. Over the next hour, Kylie and Taylor talked with the BSM students and both admitted their knowledge of God, but lack of a personal relationship with Jesus Christ. Through broken tears, they each gave their lives to God and committed to developing relationships with Him. As a sign of throwing away their sins and turning from temptation, they threw the beads hanging around their necks into a vacant field. Kylie and Taylor were two of 112 people who made professions of faith during Beach Reach 2019 on South Padre Island. 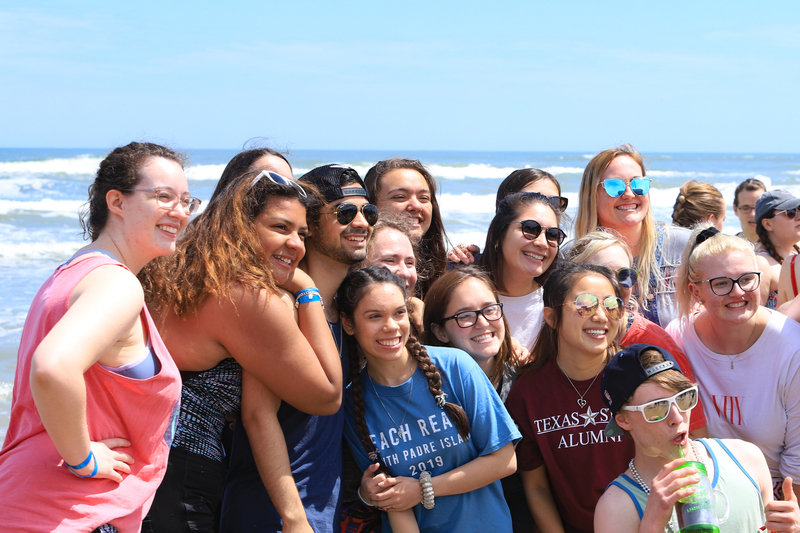 For 39 years, BSM students around Texas have spent their Spring Break in South Padre Island serving fellow college students and the island community through Beach Reach. The primary purpose of the mission experience is to share the love of Christ with fellow college students through acts of service and through intentional Gospel conversations. This year, more than 700 BSM students served over two weeks on the island, with many lives changed. Island Baptist Church in South Padre serves as a hub of activity through the mission weeks, hosting meals for students, a prayer room, phone bank for coordinating van rides, and a location for pancake breakfasts. Prayer was a vital part of the ministry. Each evening, while some students were riding on vans sharing the Gospel, others were back at Island Baptist Church praying for those conversations. The sanctuary of the church was converted into a prayer room, with a live Twitter feed streaming on a screen with up-to-date prayer requests from the vans. On Tuesday, March 12, the City of South Padre Island shut down for an hour for a “prayer wave.” City officials, first responders, lifeguards and dozens of other city employees went to Island Baptist Church to present Buddy and Susan Young with a plaque. The officials recognized the Youngs for 39 years of service on the island through Beach Reach and the commitment of tens of thousands of college students through the years to share the Gospel during Spring Break. One unique aspect of Beach Reach each year is the partnership with Texas Baptist Men (TBM) who set up a tent outside of one of the local bars and serve pancakes from 11 p.m. to 3 a.m. each night. This year, TBM volunteers made and served 11,495 plates of pancakes to Spring Breakers and community members. 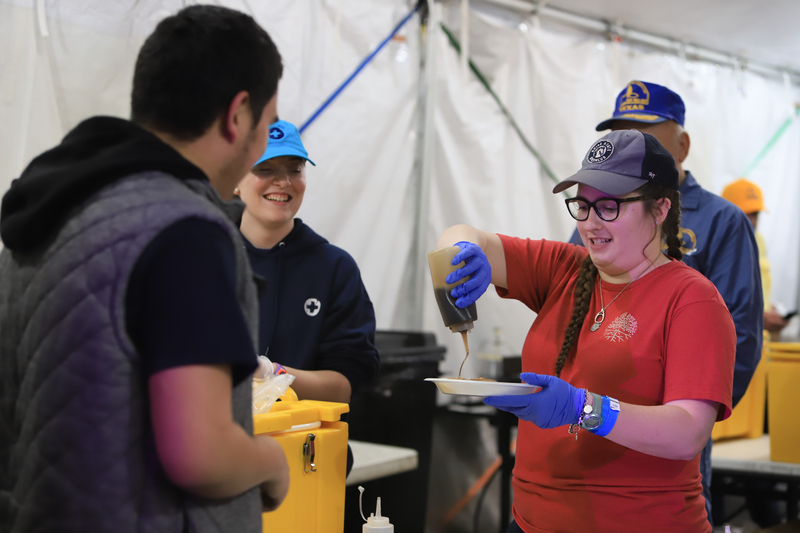 While serving pancakes on a late night shift, Sydney Gillentine, a student from Stephen F. Austin State University, reflected on the impact of Beach Reach as an opportunity to meet people outside of the church walls and in their environment. Clayton Bullion, BSM director at Tarleton State University, was encouraged by the faithfulness of students to share the Gospel, many for the first time. He also noted that what happens at Beach Reach does not stop there, but is carried back to campuses around Texas. "For many campuses, this is a catalyst for Gospel-sharing back on their own campuses," Bullion said. "We tell our students, 'If Beach Reach ends on Friday, then Tarleton Reach starts on Saturday.' It seems like each year we have students come to know Christ on our campus as a result of students going on Beach Reach and becoming bold in sharing the Gospel." One of the concluding events of each week of Beach Reach is a baptism service in the Gulf of Mexico. As BSM students knelt in the sand on March 21 to pray for new believers, many across the beach turned to look and see what was happening. Then the students rose up and ran as a group into the ocean to surround those participating in baptism. As each student was introduced, and they professed their faith in Jesus, shouts arose throughout the mass of students and leaders. Each baptism represented an outward expression of an inward decision to follow Christ and allow Him to change their lives from that point forward.